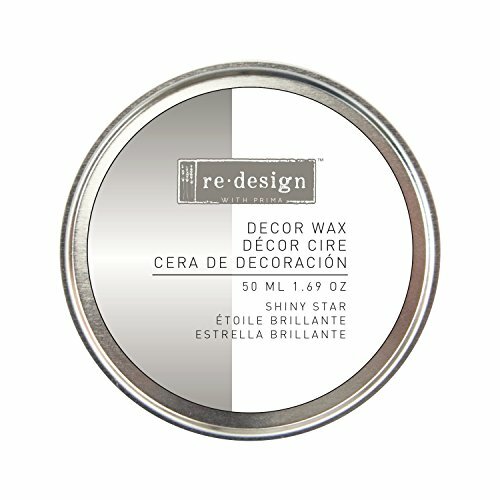 Our [re]design with prima wax pastes are rich in color and so easy to apply to your DIY projects such as furniture, walls or metal surfaces. Apply to your surfaces using a wax brush or clean rag. Our waxes have a creamy consistency for easy application, high pigmentation of color and a beautiful shimmer that will take your projects to the next level. Once applied and set, the finish will be permanent. Waxes can be layered to create custom finishes. Use with stencils to create pattern on surfaces. Apply over raised stencil patterns to add a dramatic effect. If you have any questions about this product by Prima Marketing Inc., contact us by completing and submitting the form below. If you are looking for a specif part number, please include it with your message.